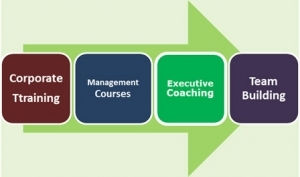 All of our training courses are designed around an active learning methodology. We consult with you carefully to ensure we have a thorough understanding of your desired learning outcomes. But jjust as importantly, we want to understand the wider context of your organisation’s culture and any given constraints within which the training occurs. All training programs are then tailored to your requirements – including the duration, learning outcomes and course content. All of our training is designed with a highly interactive learning methodology- involving and engaging participants through the use of challenging activities, discussions, case studies, stimulating presentations and skill practice exercises. Unlike some other programs that place too much emphasis upon theory, all of our programs have a strong practical basis, with a consistent focus upon providing tools and techniques that can be applied immediately. The learning methodology in all of our courses has an emphasis of on-the-job application, with workplace action plans being developed by participants. Workplace projects can be arranged with you to help ensure transfer of learning.